Oh, breakfast, I love you. How can anyone not eat breakfast everyday? I know there are those who say they feel nauseous in the mornings, or they’re just not hungry first thing, but breakfast is MY JAM. When my kids were really little, eating an entire breakfast for myself with no interruptions was something I’d fantasize about. Sitting there with my coffee steaming, a buttery muffin or crunchy bowl of cereal in front of me (and only me) sounded like pure bliss–the perfect start to the day. Now, when I have a great breakfast to look forward to, it literally extends its joy to the night before. 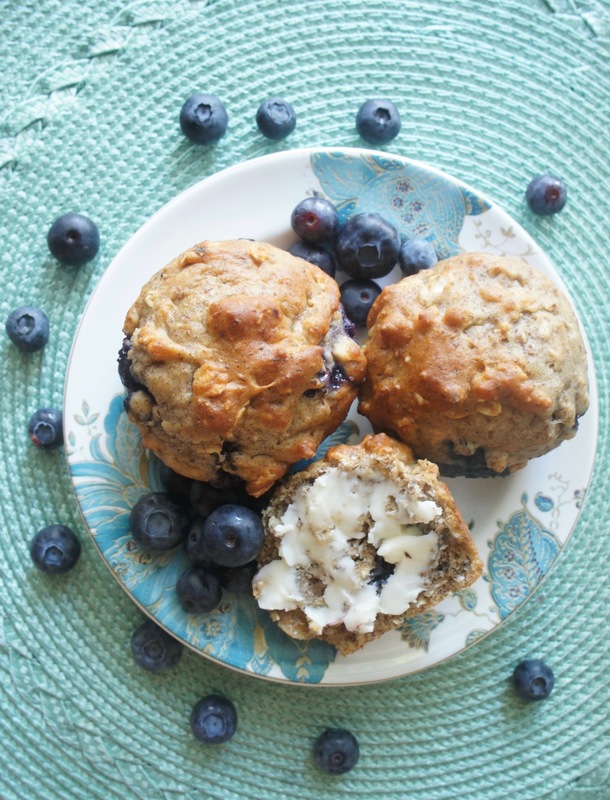 Last night, knowing I had these Blueberry Flax Seed Muffins to wake up to was enough to curb my late-night sweets cravings and make me wait until morning to eat. That’s right, I said NO to the COSTCO CHEESECAKE in my fridge for these things. See, I’ve been kind of obsessed with flax seed lately. (And planning a post all about it and how to use it–so for now I’ll restrain myself for the moment from launching into accolades about its many benefits.) Suffice it to say, a switch has flipped in my brain and I am in full-on Flax Seed Mode. Energy balls, smoothies, and, of course, muffins make excellent vehicles for this mega-healthy–and, I think, mega-tasty–ingredient. In light of recent evidence that more dietary fiber reduces the risk of numerous chronic diseases, I’m digging flax seed’s enormous fiber content. A single tablespoon of the stuff contains about 3 grams of fiber. Plus, flax seeds contain plenty of heart-healthy omega-3 fats. So even if they’re not a familiar ingredient for you, why not try something new? 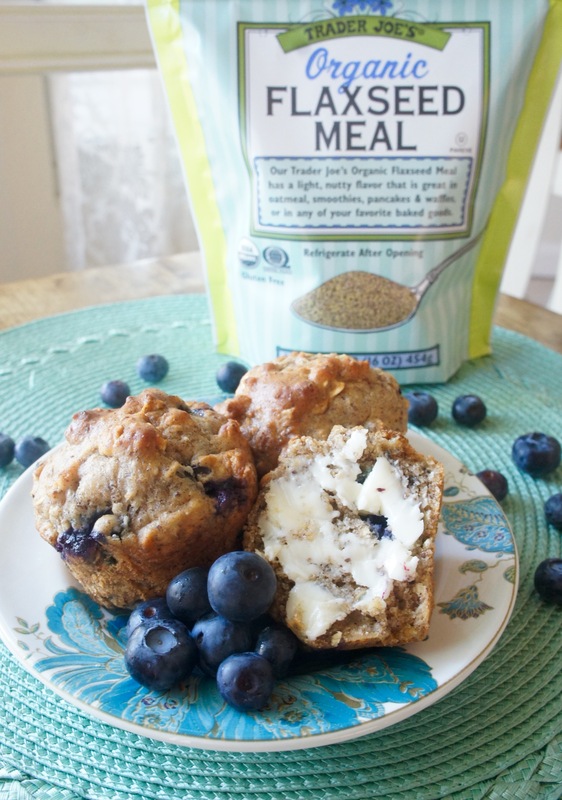 These Blueberry Flax Seed Muffins are springy with flax seed, chewy with oats, and bursting with luscious blueberries. Maybe you can see why the thought of them sustained me when Costco cheesecake was calling. 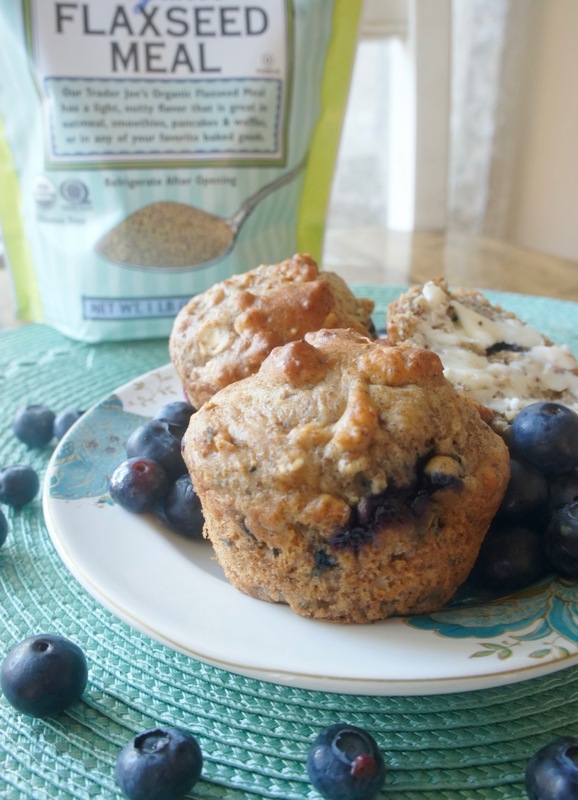 Oh, and did I mention that each muffin has only 125 calories? Ready for something a little different? 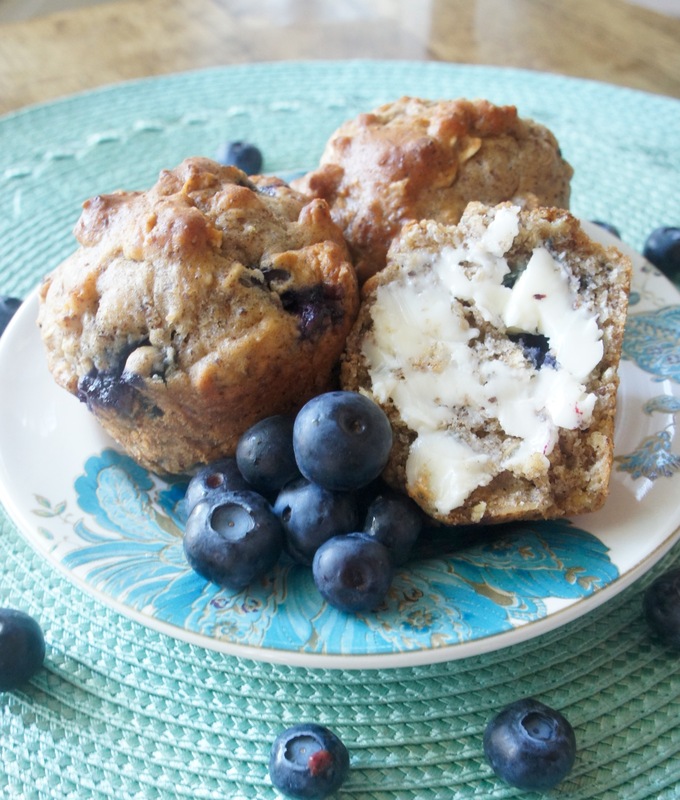 These blueberry muffins use a combination of ground flax seed and oats to achieve their unique texture--and blueberries for juicy pops of flavor. Delish! Preheat oven to 375 degrees. Spray a 12-cup muffin tin with cooking spray. In a large bowl, combine all wet ingredients: egg, brown sugar, maple syrup, vanilla, yogurt, oil, and almond milk. To the same bowl, add dry ingredients: flax seed meal, whole wheat flour, all-purpose flour, oats, salt, cinnamon, baking powder, and baking soda. Stir until just combined. Fold in blueberries. Divide mixture among 12 muffin cups and bake 20-22 minutes or until browned on top. Store in an airtight container. This entry was posted in Recipes and tagged Baked Goods, Breakfast. Bookmark the permalink.